US president Donald Trump has declined India's invitation to be the chief guest at the Republic Day celebrations, sources told NDTV. India, sources said, was informed about this several weeks ago. President Trump's administration has said he has a "crowded agenda" and can't be in India for the Republic Day. In early August, White House press secretary Sarah Sanders had confirmed Mr Trump received an invite to visit India. "I know that the invitation has been extended, but I do not believe that a final decision has been made," Ms Sanders told reporters then. The foreign ministry has not given a statement. The American embassy in Delhi said only the White House can comment on the president's travel plans. For the last few weeks, US officials have been indicating that Mr Trump would not fly to India in January as the State of the Union address is scheduled in the winter month. Former US president Barack Obama, however, came to India twice and also attended the Republic Day celebrations in 2015 on his second visit, despite the State of the Union address being scheduled in January every year. 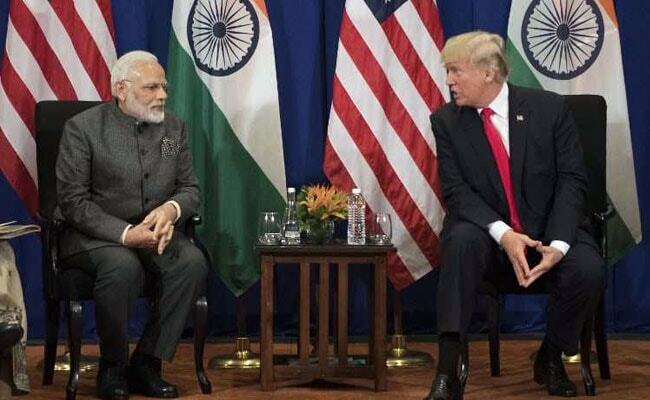 Mr Trump turning down the invitation could be seen as a low point in India-US ties, despite the good rapport he and Prime Minister Narendra Modi say they share. Normally, formal invites to leaders for Republic Day are sent after the leader has confirmed his or her attendance. Former diplomats have criticised the government for leaking the invitation letter to Mr Trump before a confirmation. Mr Trump declining India's invitation to be the chief guest at the Republic Day celebrations comes weeks after India and the US had differences over a range of geopolitical issues. India's insistence on buying oil from Iran despite US sanctions on the oil-producing nation did not go well with the Trump administration. India and the US also had to navigate a complex issue of possible US sanctions after the Modi government decided to buy the Russian S-400 long-range missile system, which the US considers is within the scope of the Countering America's Adversaries Through Sanctions Act. The S-400 missile system is arguably the world's deadliest surface-to-air missile and the US believes the weapon can bring imbalance on the battlefield if it falls in wrong hands. Russia's deployment of the missile system in Syria is seen as a threat to the West.